Its been an action packed few months, busy attending field days across the nation as well as back home delivering chaser bins to our fantastic customers and dealers. Shannon McNab our director along with Davimac founder David McNab have been out displaying our range of chaser bins, seed drills and other farming equipment such as rubber tyre rollers and pasture seeders. 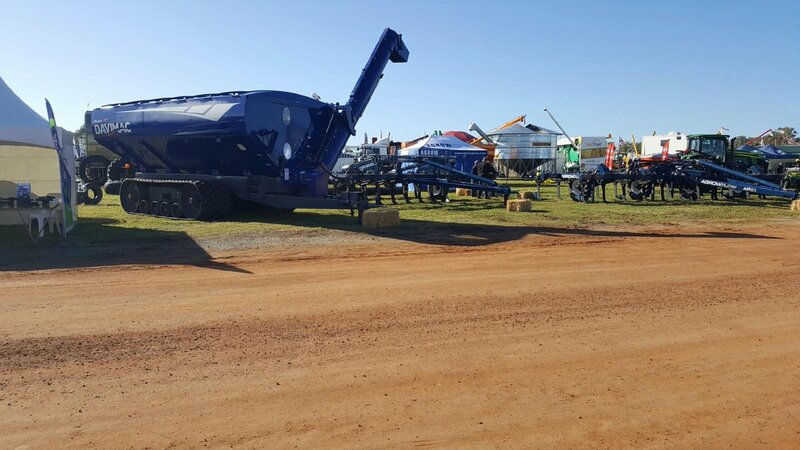 Its not too late to catch up with the team, with Newdegate Field days in Western Australia in two days time and Henty Machinery Field Days in Southern NSW. Thanks for those who stopped by to visit us!